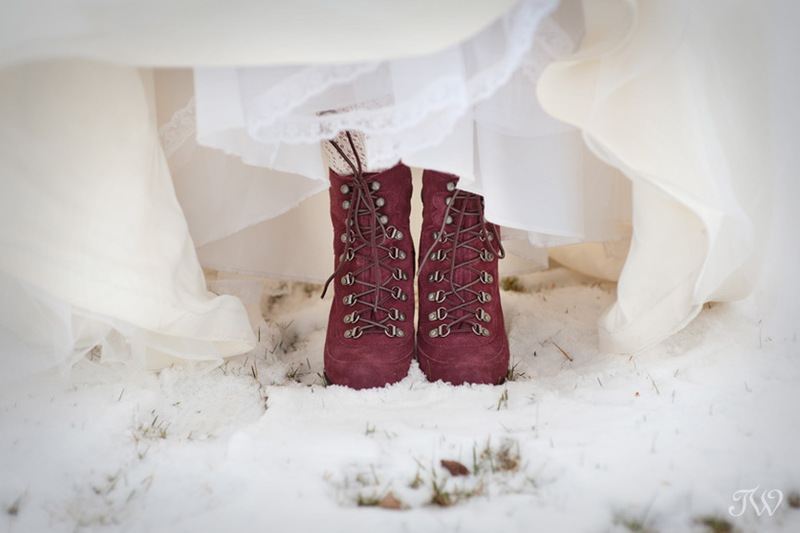 Finding the perfect winter wedding shoes can be a bit tricky. Of course you want to wear a shoe befitting the occasion, but I adore a bride who’s willing to brave the elements and take advantage of the winter scenery for her wedding photographs. How about a quick change into these lace-up booties from Nine West Canada? 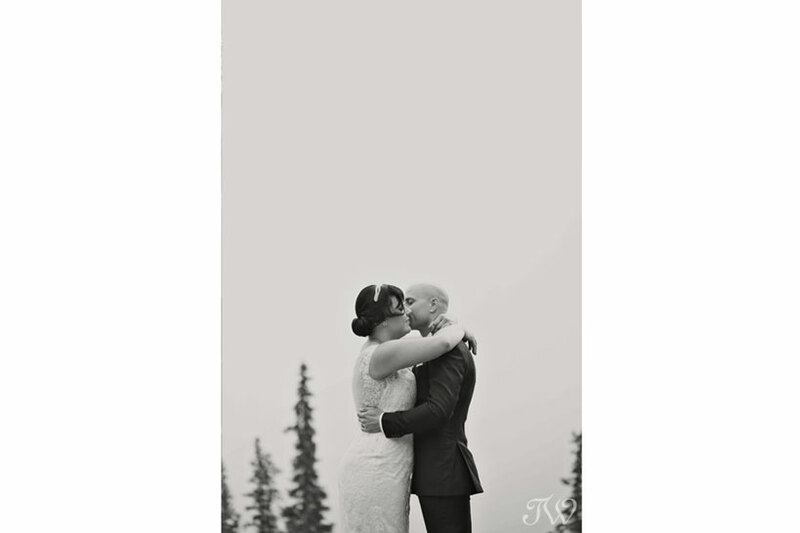 They were the perfect choice for Janelle’s mountain vow renewal last weekend. 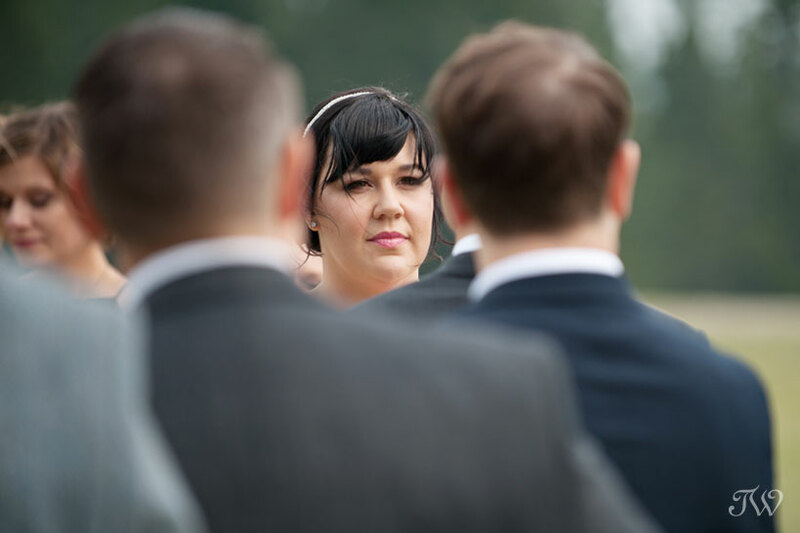 This bride’s Betsey Johnson pumps were also her “something borrowed, something blue”, if you’d like to see. Tara: Tell us about your beautiful boutique. 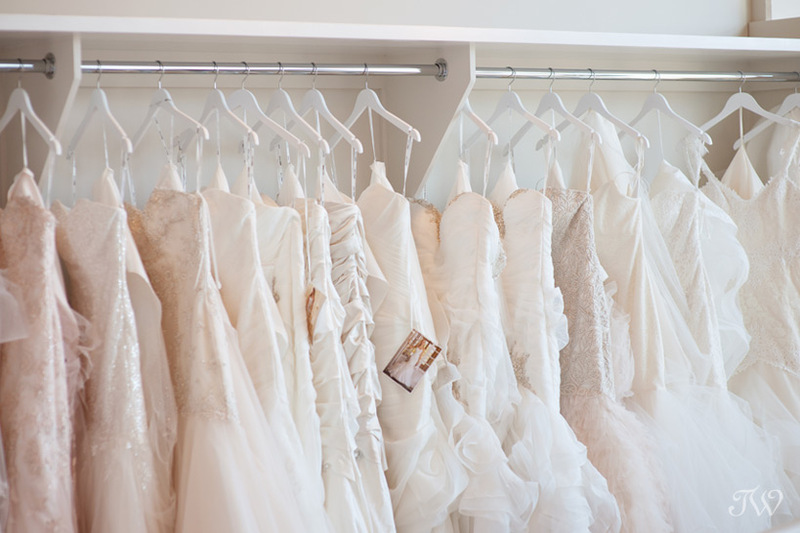 TBT: The Bridal Boutique is a chic + modern dress boutique nestled in the heart of Britannia in Calgary. 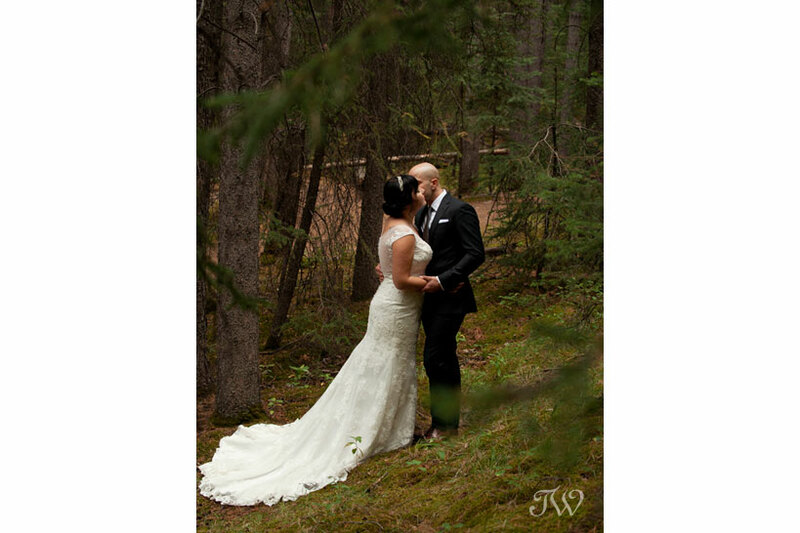 Second to our Edmonton boutique location of 8 years, we are a family-owned dress shop offering an intimate bridal experience like no other. Tara: Who do you see as the ideal customer for the boutique? 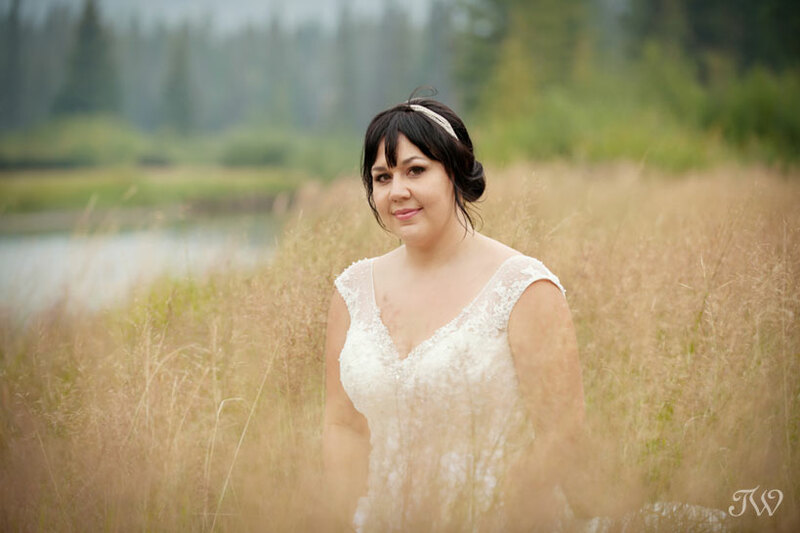 TBT: The Bridal Boutique bride is looking for something different, unique and fashion forward. Whether she is simple and classy or an edgy fashionista she is not afraid to laugh and glitters wherever she goes! 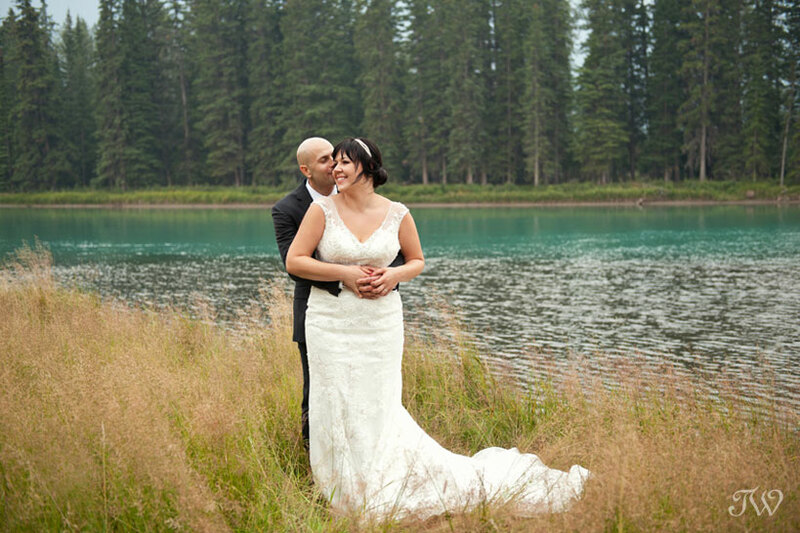 Tara: What do you love about weddings and working with brides? TBT: What can we say? 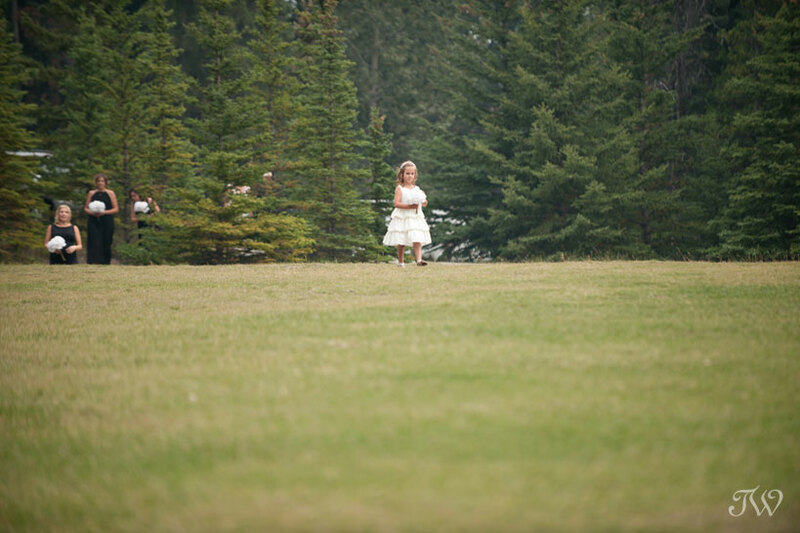 We LOVE weddings! 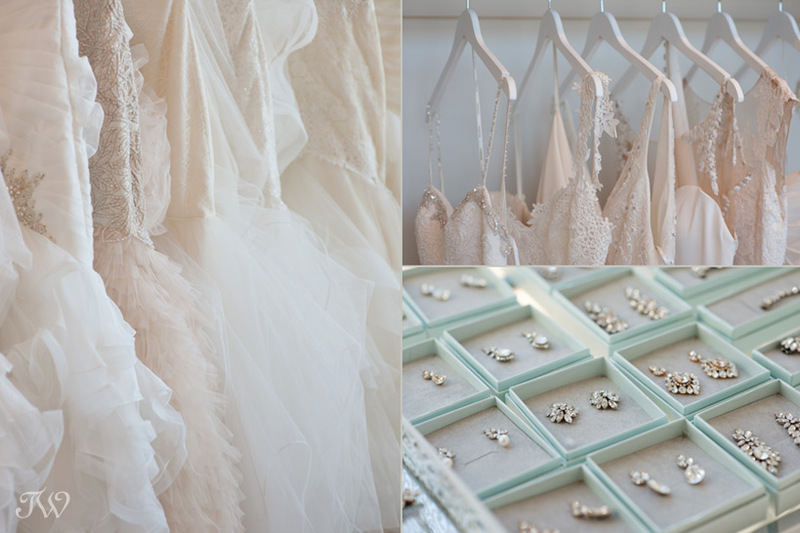 Weddings are every girls dream! If we could get married every year we would! 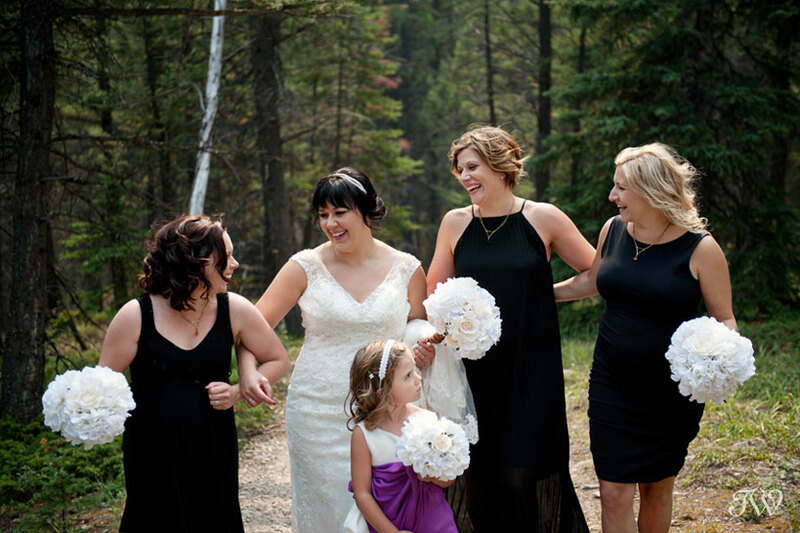 One of our most favourite things is experiencing our brides finding “the one”, the dress of her dreams again and again! 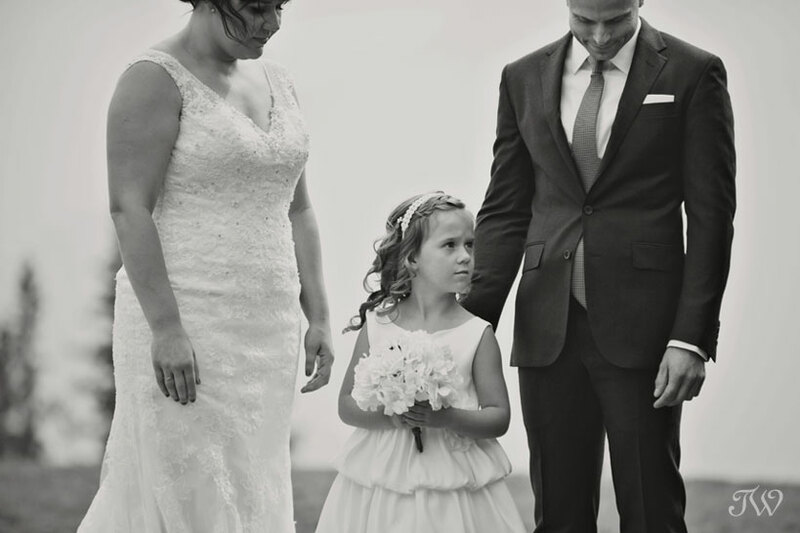 Each brides reaction is something truly special and melts our hearts every time. Tara: Is there a designer or dress that you are excited about? 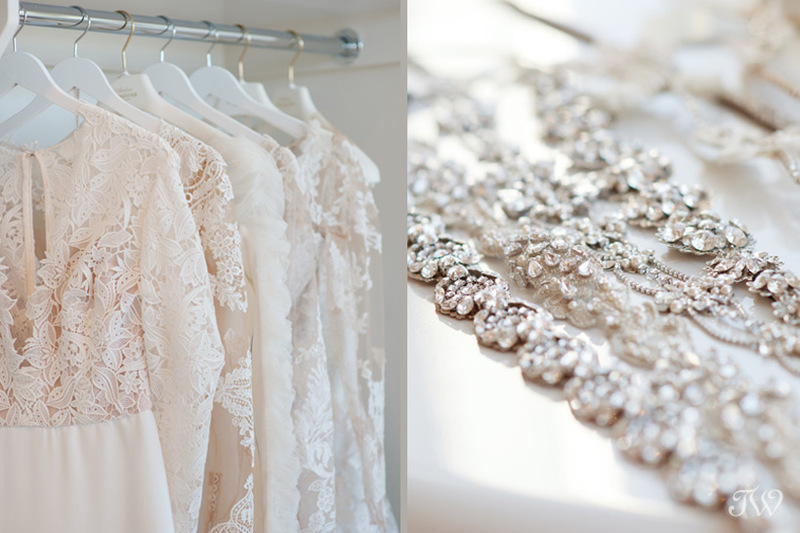 TBT: We are so very excited about an upcoming trunk show from our LA designer Katie May from November 26th to 29th! 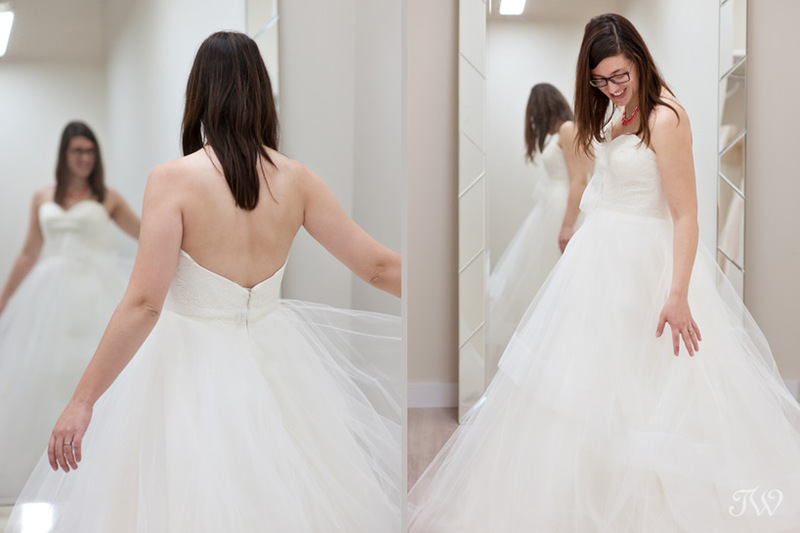 Janelle (Flowers by Janie) lit up when she put on this ballgown from Blush by Hayley Paige in the shop. 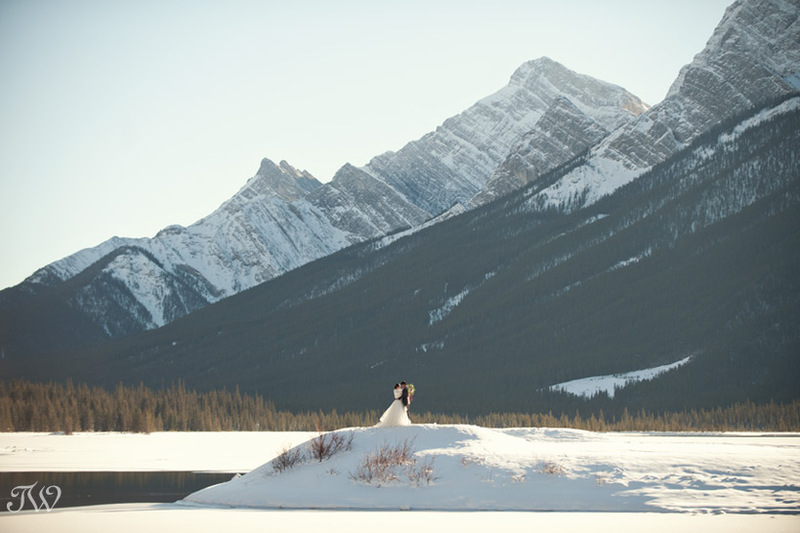 It was perfect for her anniversary shoot in the Rockies. Thank you for the invitation to your charming shop Kara and Lyia. 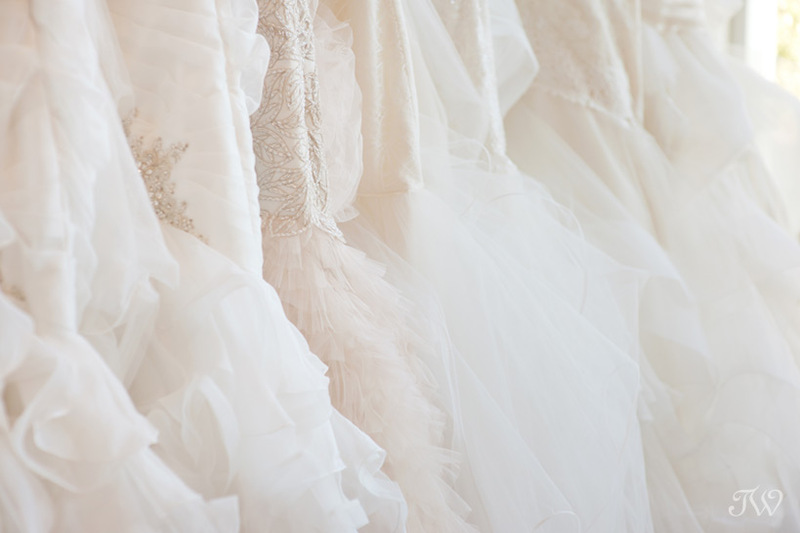 If you’re a bride looking for a wedding gown, be sure to put a visit to The Bridal Boutique on your to-do list. 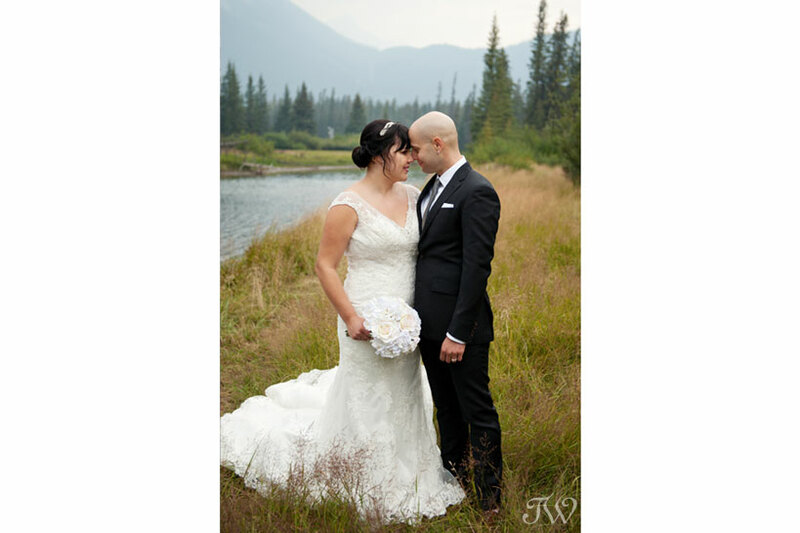 Congratulations Janelle & Oscar of Flowers by Janie. 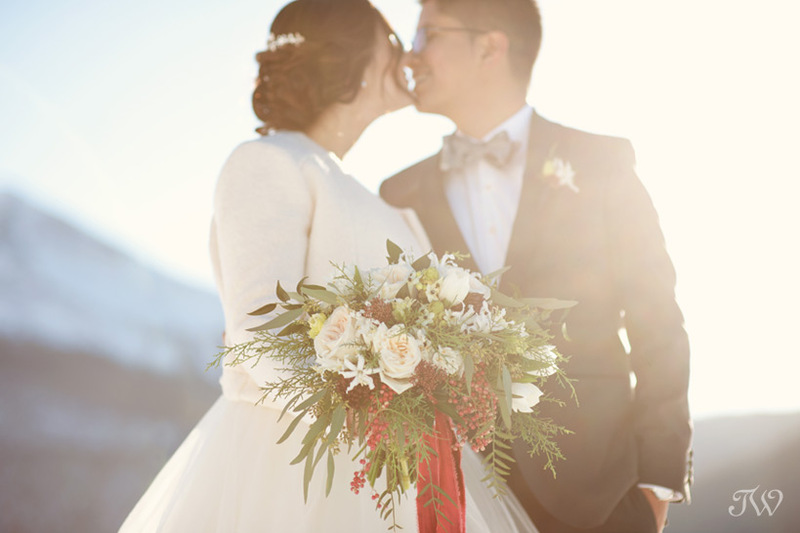 I’m completely in love with the winter bridal bouquet Janelle created for Sunday. I hope you’ll follow along as she breaks it down in our upcoming winter, “bloom of the week” series. Here’s part of the fall series, if you’d like to see. Are you a “DIY-er”? Do you like to make DIY Christmas decorations but you’d really like the help of a professional? I’m partnering with Flowers by Janie and Adorn Boutique on two Christmas workshops that may be right up your alley? Update: Workshop #2 is full. Both workshops include the supplies needed to create your own crown/wreath, delicious treats from Yann Haute Patisserie, in-store discounts, gift bags, door prizes and a photo booth. 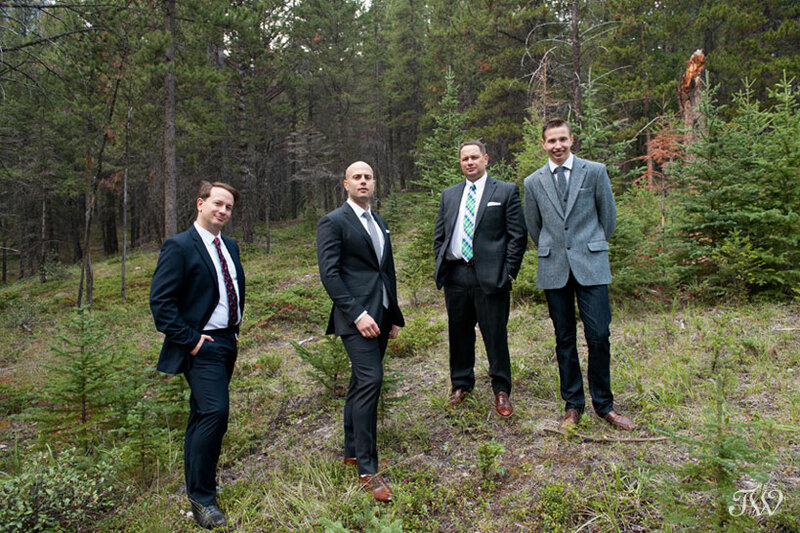 To reserve your seat, call Adorn Boutique at 403-269-9919. 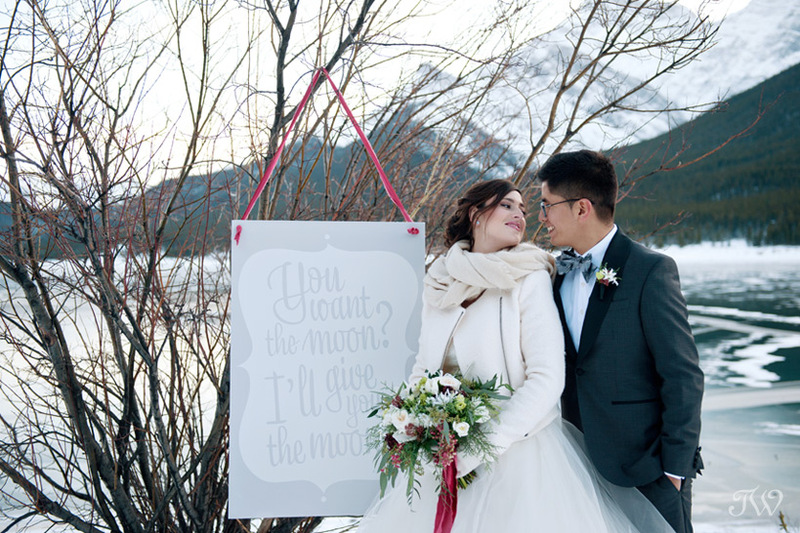 Images of DIY Christmas Decorations captured by Calgary photographer, Tara Whittaker. 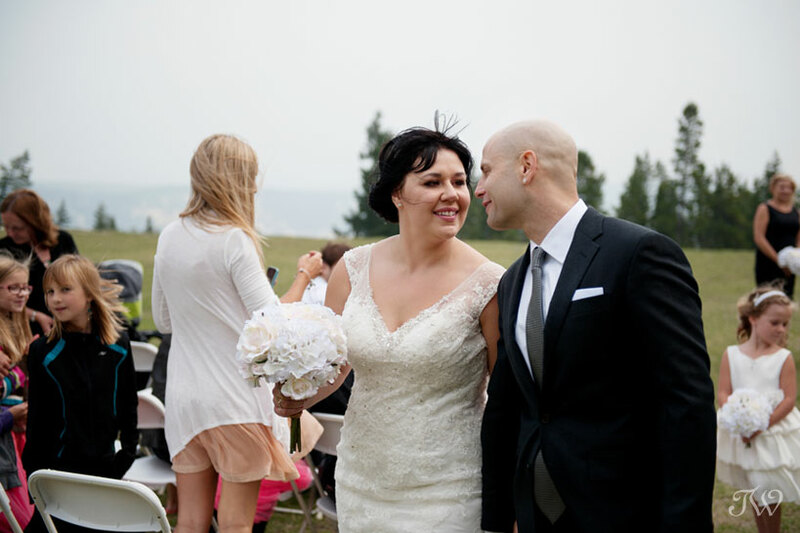 Saturday was a day of firsts (and lasts). 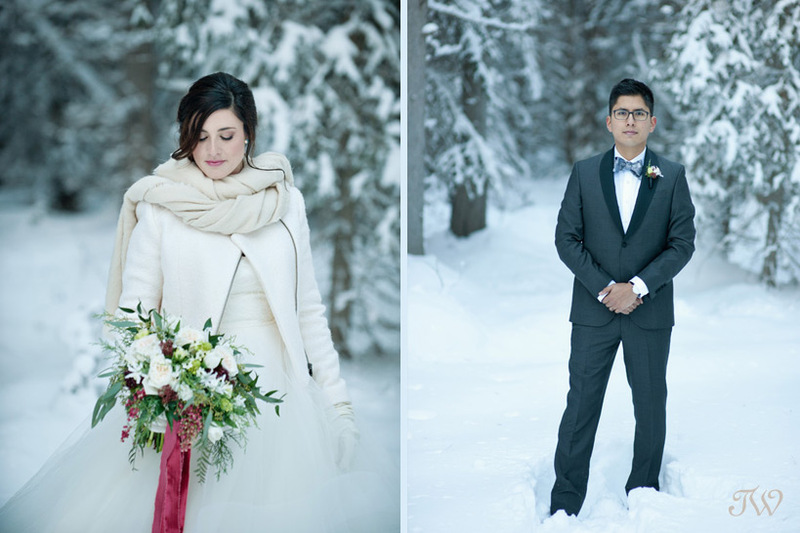 It was my last wedding of the season but my first winter wedding of 2015. 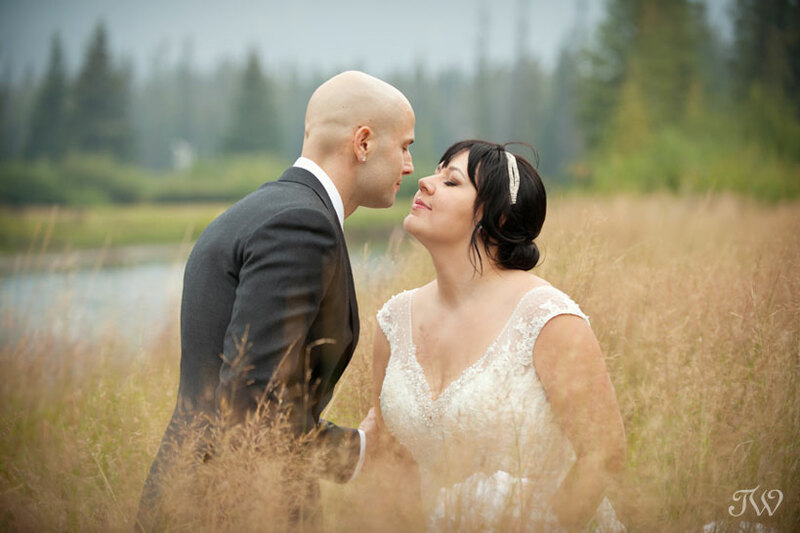 This one was extra special because years ago, I worked with the bride, Juliette. 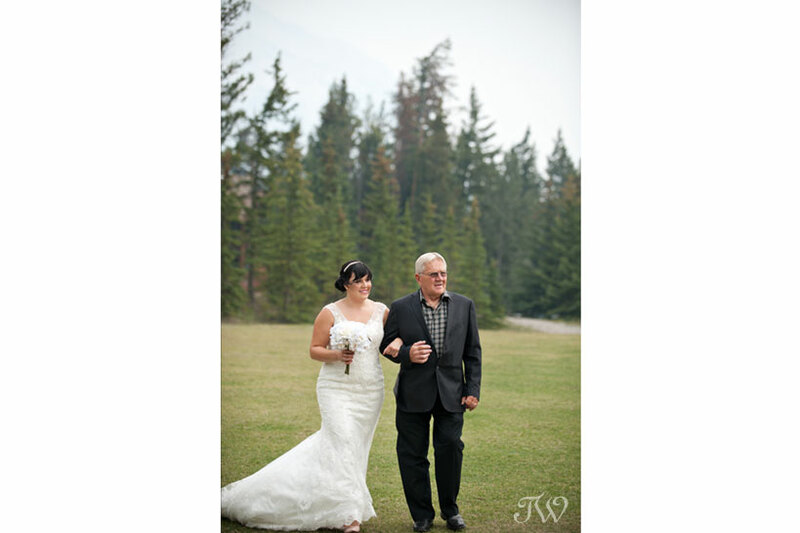 I was thrilled that she remembered me and called me up to photograph her wedding to Raymond. 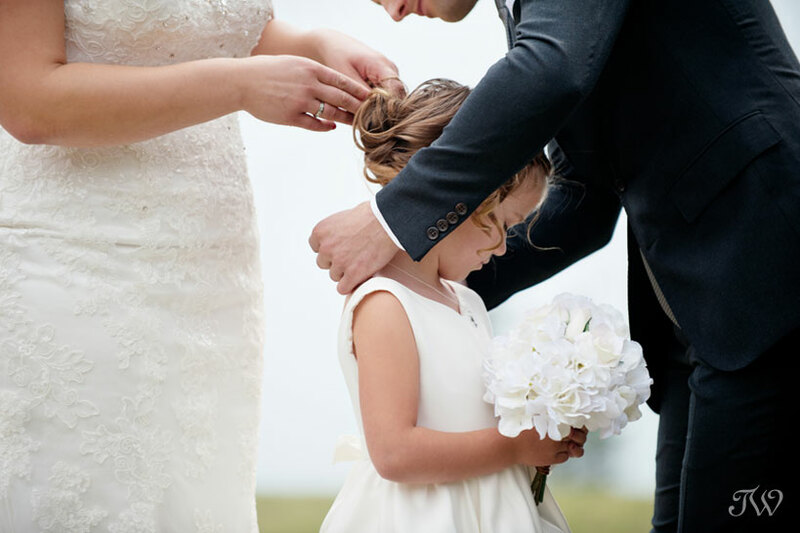 Here’s a sneak peek from their joyful (but chilly) day! There’s nothing like snowy, winter photographs. 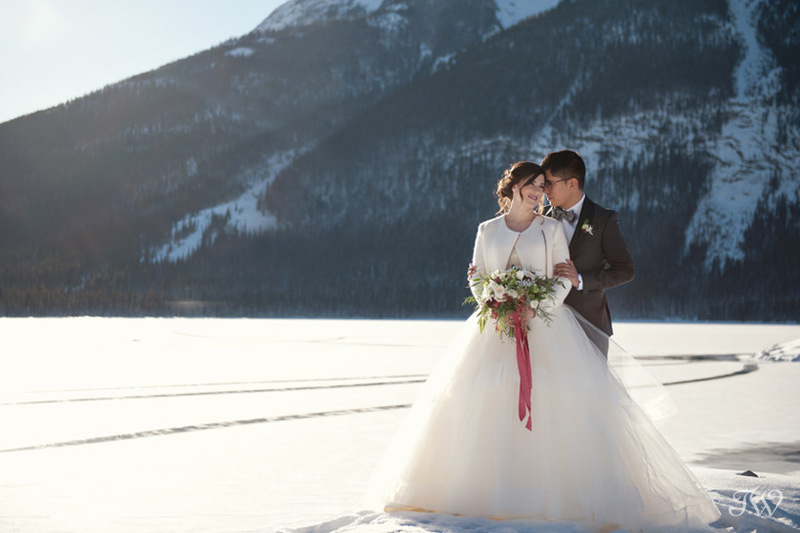 Here’s a winter engagement session at Lake Louise. Sometimes the loveliest things come in small packages. 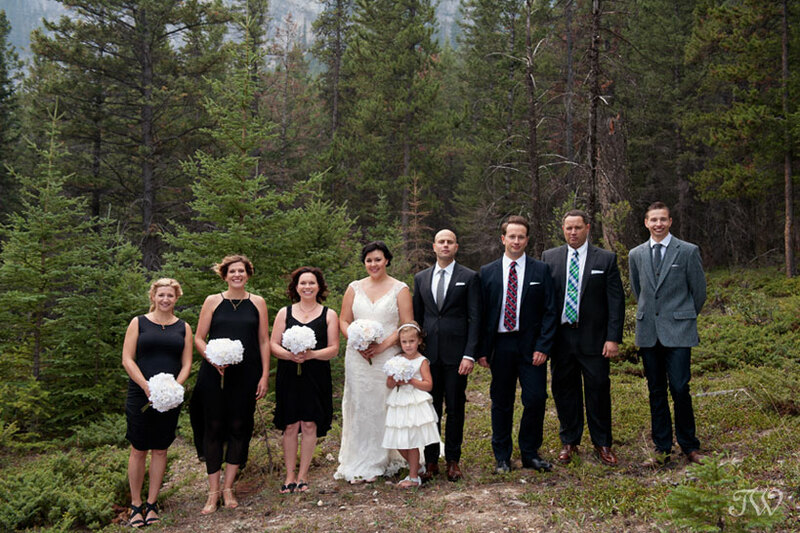 Elizabeth and Ron’s wedding was short, sweet and completely authentic. 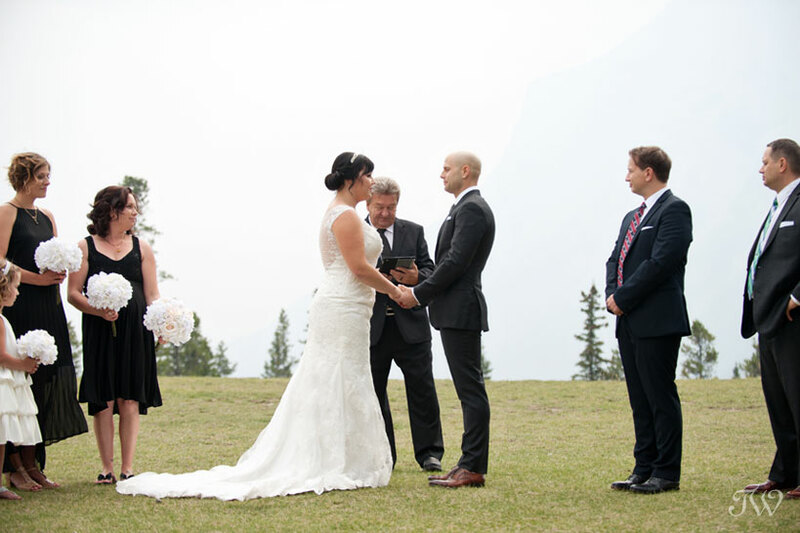 It took place when the Town of Banff was socked in with smoke from the neighbouring forest fires. 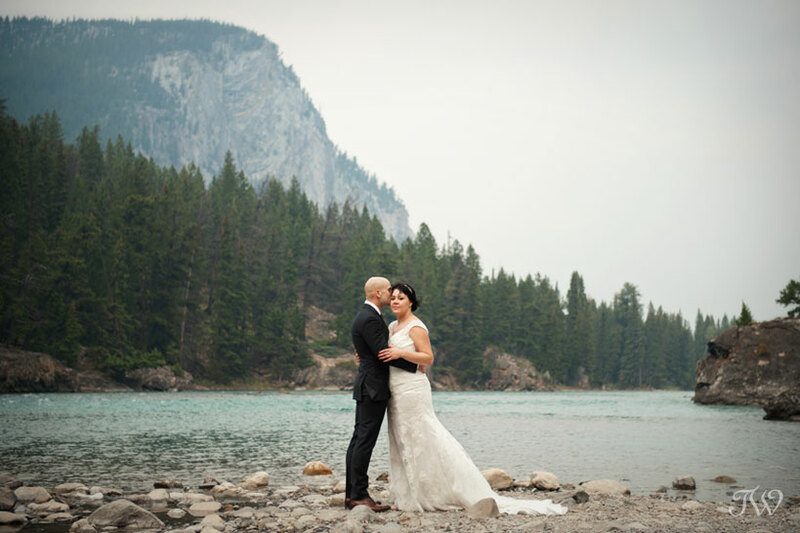 The dramatic peaks surrounding Tunnel Mountain Reservoir may have been playing hide and seek, but the smoke added a sense of softness and romance to the photos. 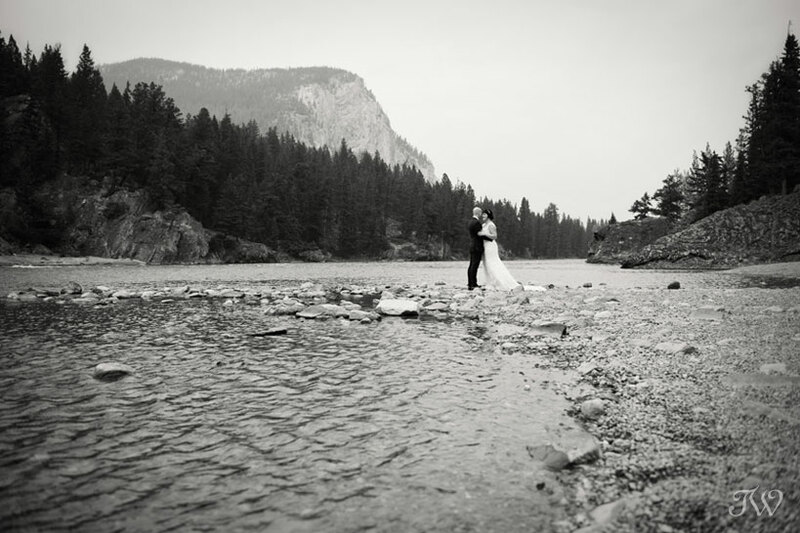 I adore a couple who will trek into the woods or wade into an icy river for the perfect photograph. Many congratulations to Elizabeth and Ron!